Check out how these celebs like to style them! Nadine has basically perfected this look. Wearing loose, silky versions of the bottoms with midriff-baring tops, she's modernized this pairing. This was Kendall's go-to look at Coachella this year. 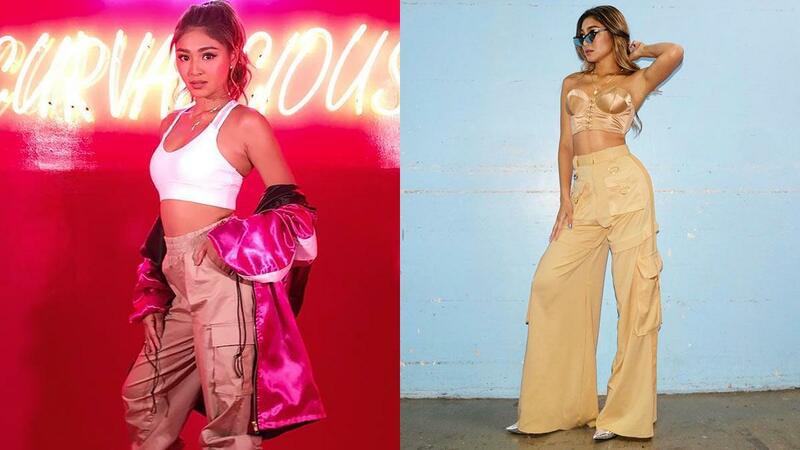 She wore an itsy-bitsy bralette with baggy cargos that's totally reminiscent of the '90s. Bella mixes sweet and street with a ruffled cropped top, silk pants, boots and a cap. Kaia serves us two looks for this classic combo—a casual tank top and camo cargos and an asymmetrical top with extra baggy pair and Dr. Martens. What better way to show off toned abs than with a bikini top and camo pants?